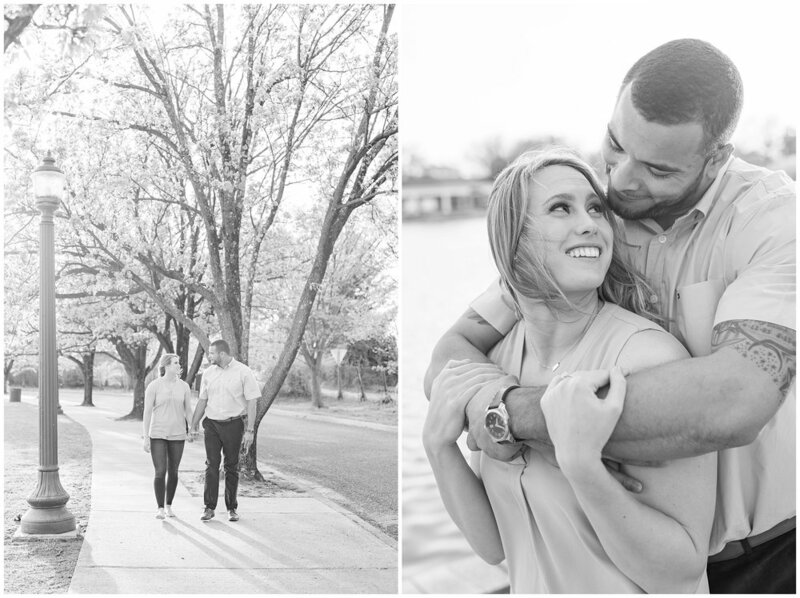 Staci and Chris’s engagement session was nothing short of magical! 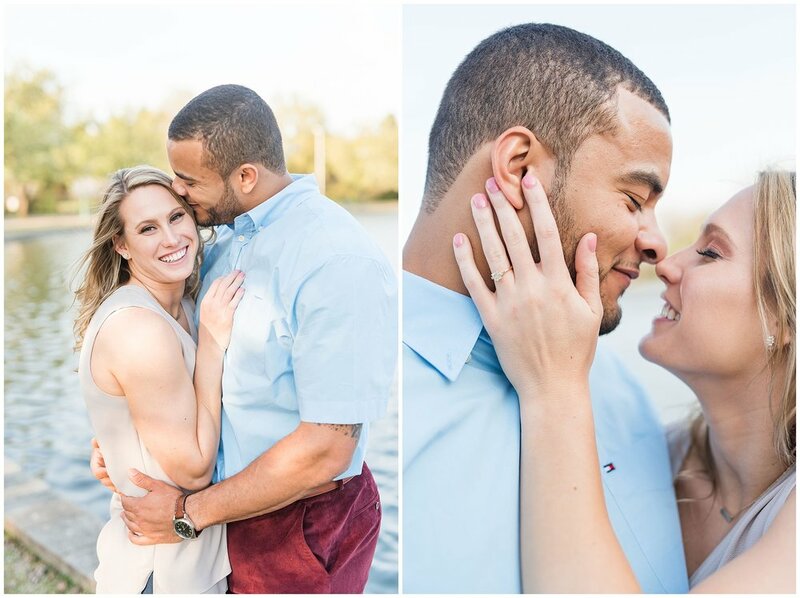 This amazing couple was referred to me by another amazing couple back in December. YAY for my awesome brides and their recommendations!!! After my initial FaceTime consult with Staci, I crossed my fingers that she’d book with me- and SHE DID!! Yasss!! 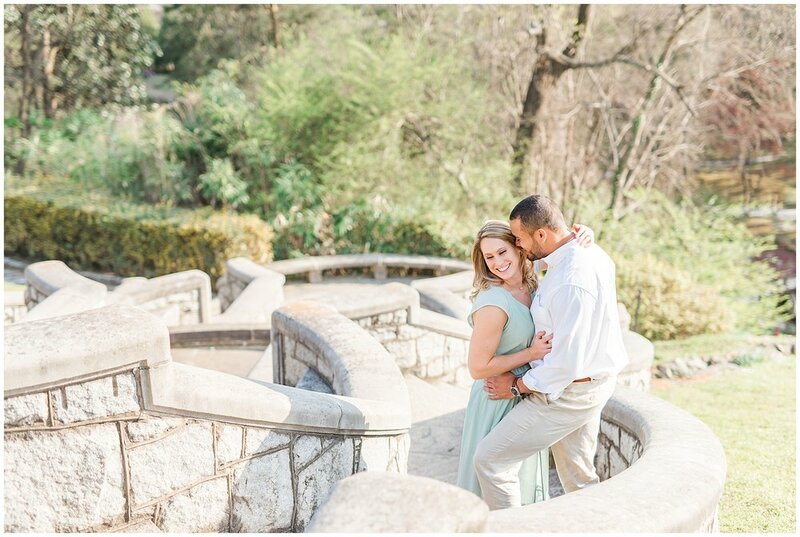 Since her and Chris live in Richmond, I suggested to shoot their engagement photos at Maymont Pak. During the planning process, I helped Staci find a dress online, and I’m SO glad she bought my absolute favorite one!! It was GORGEOUS ON HER! Seriously Staci is a knock out and has the most beautiful smile! To top it off, she’s cool AF. 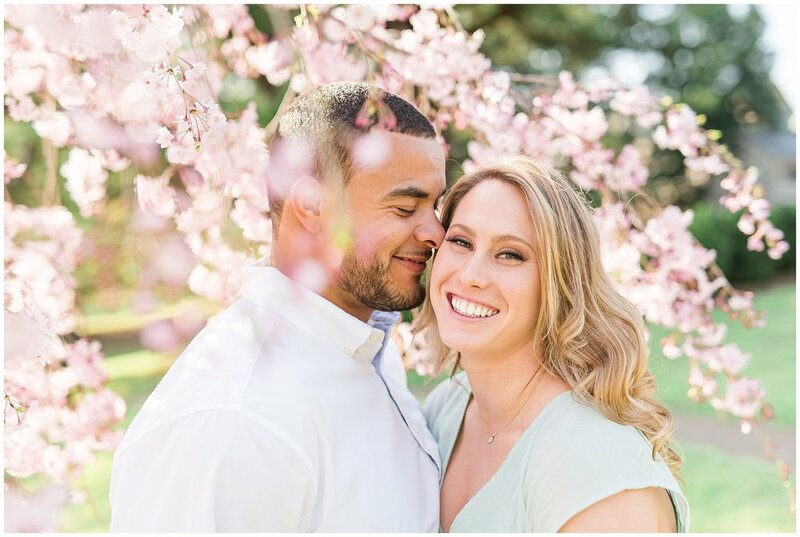 The weather couldn’t have been more perfect for a spring engagement session. It was 70 degrees and SUNNY! But apparently everyone else in Richmond also decided that visiting Maymont park was a good idea, so we had to be patient (I’m horrible at that). But Staci and Chris are both so laid back and easy going! 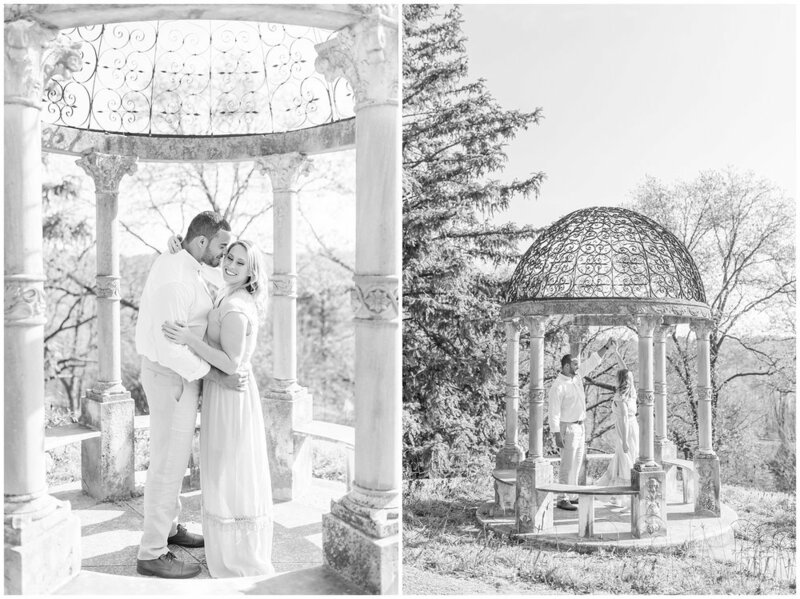 They trusted me and boy did we get some amazing images there!! After Maymont, we headed to another area where dogs were allowed, since they brought their cute pup, DD (short for Deck Dog)! *okay off-topic...So Chris runs a little kombucha business on the side and it’s called Deck Dog Kombucha! FYI: Bring me some at the wedding, k thanks. Love me some BOOCH! ANYWAYS back to the subject. We drove a few minutes down the road to another little park area that had a big pond and LOTS of flowering cherry blossom trees! Okay I totally get the cherry blossom craze now... They are absolutely gorgeous!! All three of us had a blast and I’m super stoked for their wedding in September!